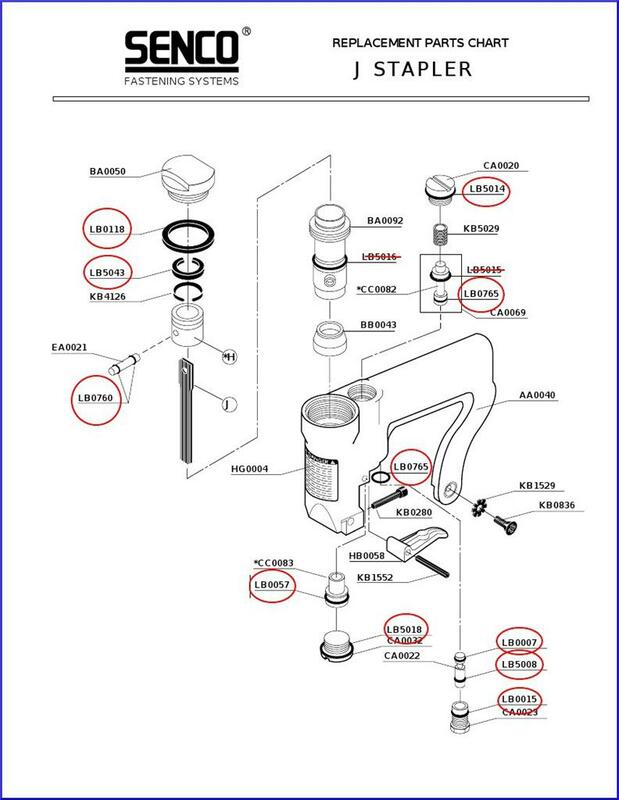 Home» Products» Senco Model J Stapler O-ring Rebuild kit LOWEST COST!!!! 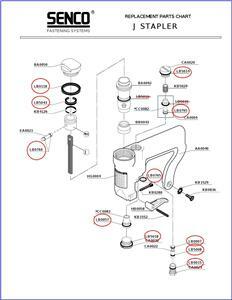 Senco Model J Stapler O-ring Rebuild kit LOWEST COST!!!! 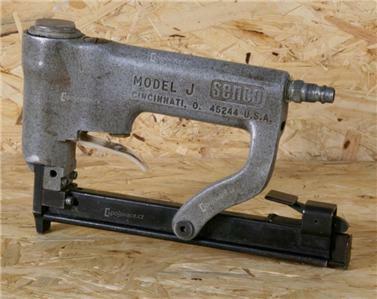 AfterMarket O ring kit to overhaul the Senco model J Stapler below. Includes all the orings circled in red below. 10 or more kits 7.85 !